A powerful typhoon battering Vietnam has killed at least 27 people and left 22 others missing amid extensive damage along the south-central coast, officials said Sunday. The missing include 17 crew members of cargo ships that were sunk off the coast of the central province of Binh Dinh, the Vietnam Disaster Management Authority said in a statement. Seventy-four other crew members were rescued earlier. More than 600 houses have been destroyed and nearly 40,000 others damaged, with nearly 50,000 people evacuated as Typhoon Damrey caused widespread blackouts across the region, the disaster agency said. 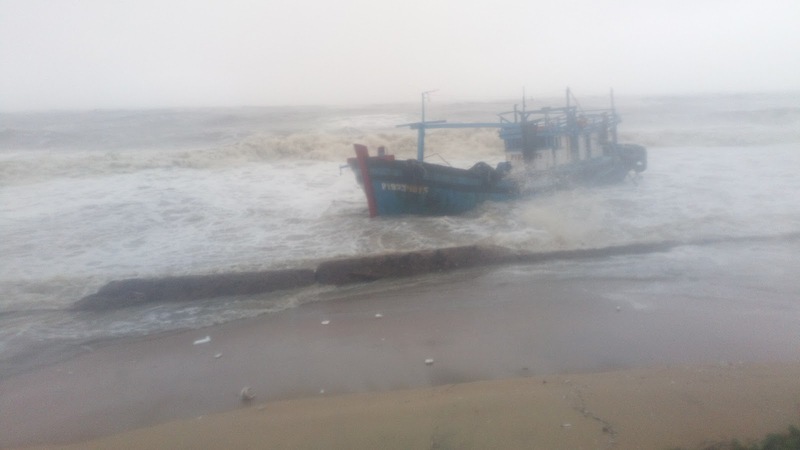 The typhoon, the second to hit Vietnam in a month, also caused extensive damage to the region's rice fields and other crops while 228 fishing boats were sunk or damaged, the agency said. The storm moved from the coastal area into a key coffee-growing region of the world’s biggest producer of robusta coffee beans. Traders had expected the storm to delay harvesting but were not sure whether it would damage the crop. According to Reuters, the government said on Saturday that more than 40,000 hectares of crops had been damaged, including sugar cane, rice fields and rubber plantations. Floods killed more than 80 people in northern Vietnam last month, while a typhoon wreaked havoc in central provinces in September. The country of more than 90 million people is prone to destructive storms and flooding due to its long coastline. It left some 1,500 passengers stranded at railway stations. Heavy rains are expected to last until Tuesday including in the central resort city of Danang, just days before the start an economic summit attended by Presidents Donald Trump, Vladimir Putin of Russia and Xi Jinping of China, among others.